Dum Dums lollipop "Mystery Flavor"
A Dum Dum Pop (or Dum Dum) is a sphere-shaped lollipop named by I.C. Bahr, a Sales Manager at the Akron Candy Company in Bellevue, Ohio, in 1924. In 1953, the Dum Dum Pop was purchased by the Spangler Candy Company and moved manufacturing to Bryan, Ohio. 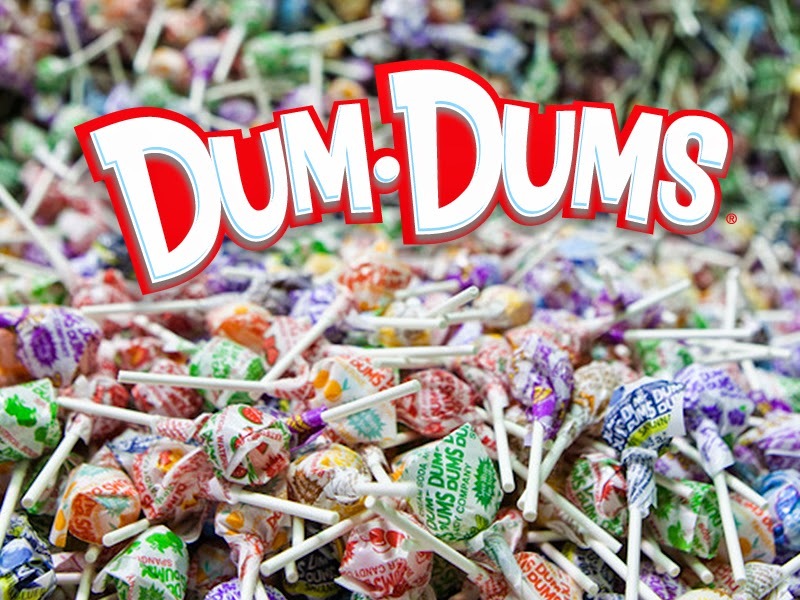 Dum Dums are made from sugar and corn syrup that is cooked before coloring and flavoring are added. After pressing, the stick is then added. Dum Dums are made in sixteen flavors with new flavors rotating into the mix every so often. The Mystery Flavor continuously changes and according to Spangler Candy Company, the mystery flavor is not limited to the current Dum Dums flavor mix. The flavor is created when production switches from one flavor to another. Instead of taking the time to clean out machinery, two different flavors are merged, meaning a mystery flavor can be a different combination every time.